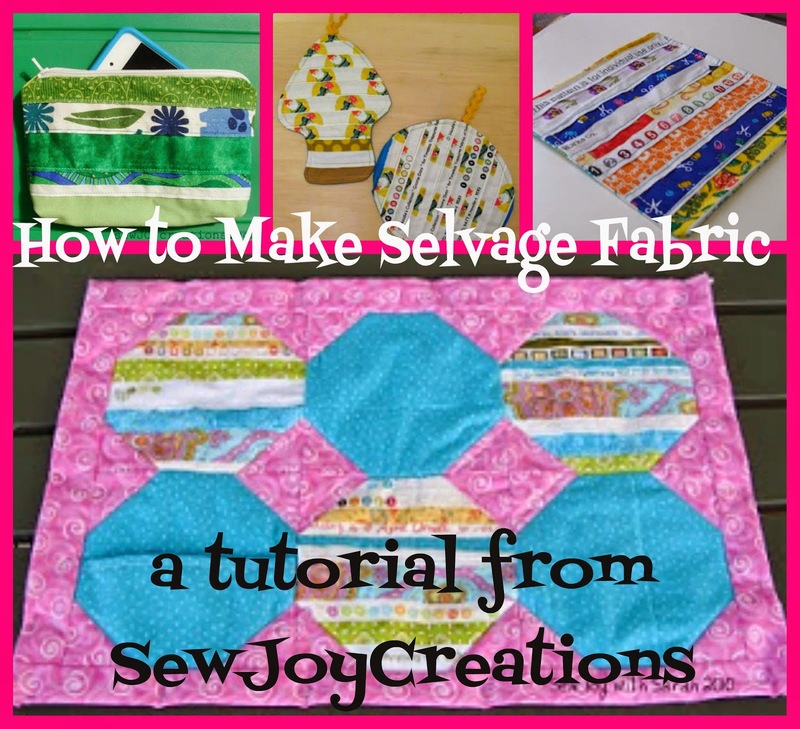 These projects are not necessarily on the back burner, but definitely the side burners! My last post focussed on my 3 focus projects for this quarter of the year. The following three - or four - are also taking their turns under the sewing machine needle. 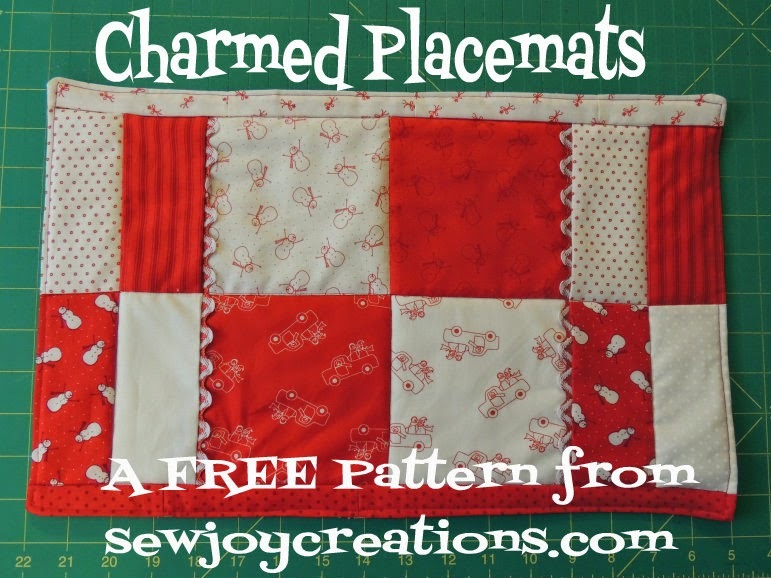 This is an older pattern of Pat's that I was fortunate enough to be gifted as a kit. 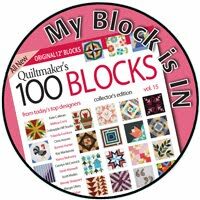 She has a beautiful quilt in the latest issue of Primitive Quilting that is available in a kit and features her new fabric line. You can see Spring Breeze here. I've just recently started to fall behind on this one. 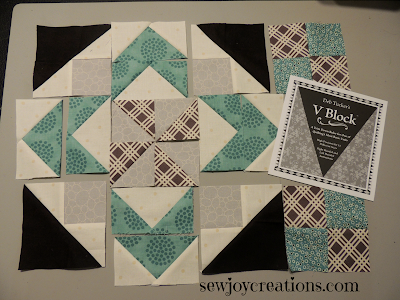 This is my 150 Canadian Women blocks laid out on my queen size bed - there's around 64 - 6 1/2" blocks in this photo, plus the one 12" block that I added in. 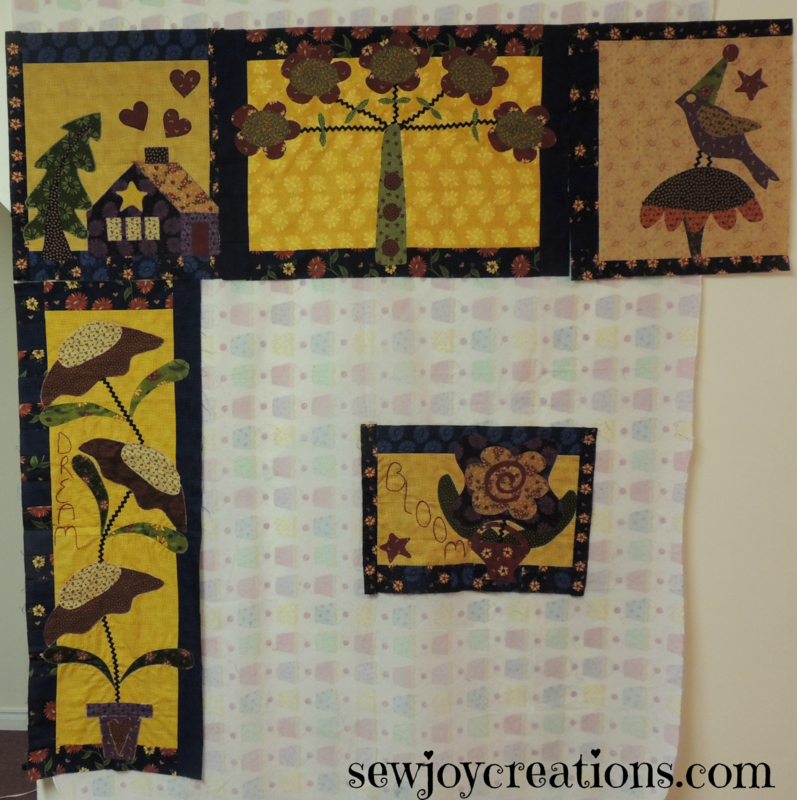 I'm hoping to catch back up shortly now that my secret sewing is finished! 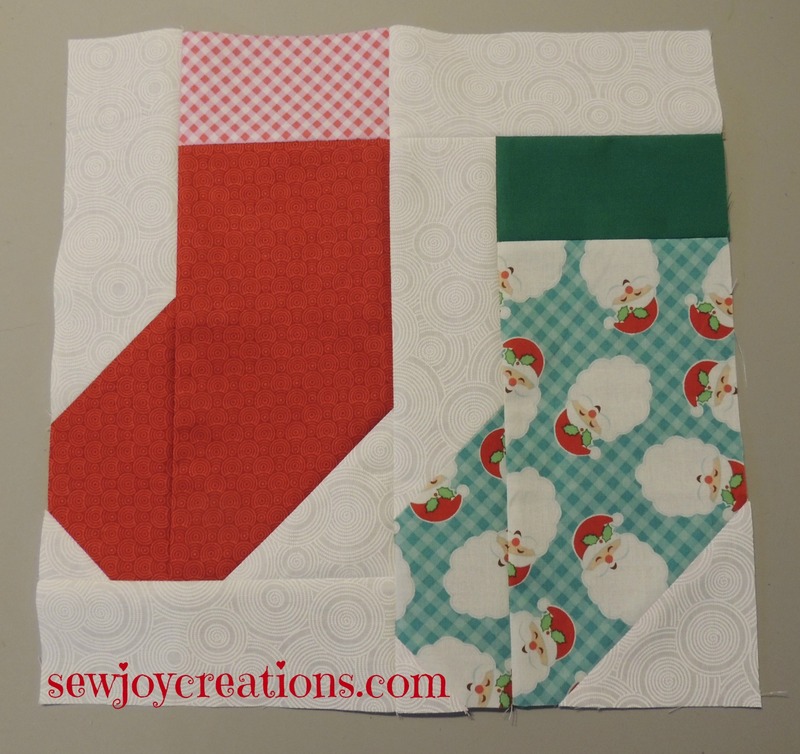 These blocks are designed by Kat Tucker of Next Step Quilt Designs. 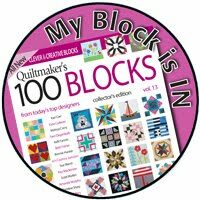 There are more blocks to come and a CD you can buy in November that includes all of the 150 blocks. And one more - my quild's mystery quilt! I joined the guild late in the year and have some catching up to do. Apparently I don't have to have it finished until the next quilt show in a couple of years :) The last clue has been given out and I'm thrilled with the design - it's one I've been putting off doing. I'm also glad I used some stashed favourites in this one. Now I just have to get it done - and convince my husband I don't have too many quilts and can keep it! 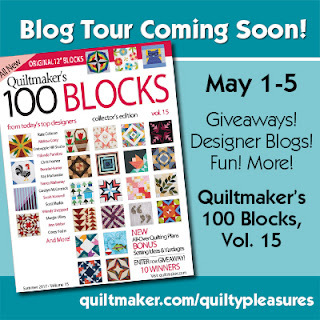 There will be another post up here this week: I'm happy to announce that I am one of the stops on the Quiltmaker's 100 blog tour next week! 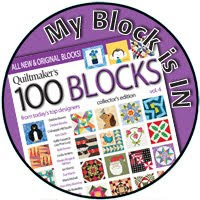 AND my block is on the cover! Can you guess which one? Come back on Wednesday, May 3 to find out! 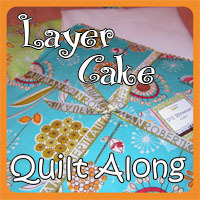 I have made a lap top quilt top for the tour and can't wait to share it with you. Now I just need to take it outside for some photos before it starts raining! Looks like you have your hands full, but it sounds like you're having a great time! 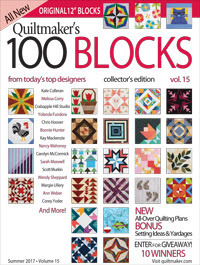 Congrats on having a block in the 100 Blocks magazine! 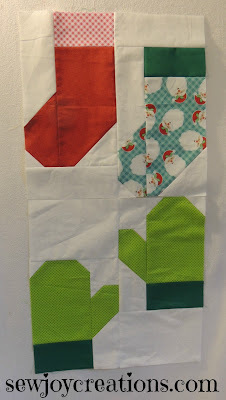 I'm guessing it's bright and joyful, so that rules out some of the blocks... So, I'll go out on a limb and say the bright HSTs with the white "diamonds", or the red / green / blue / orange one.... I guess I'll find out on Wednesday! You have a lot on the go! 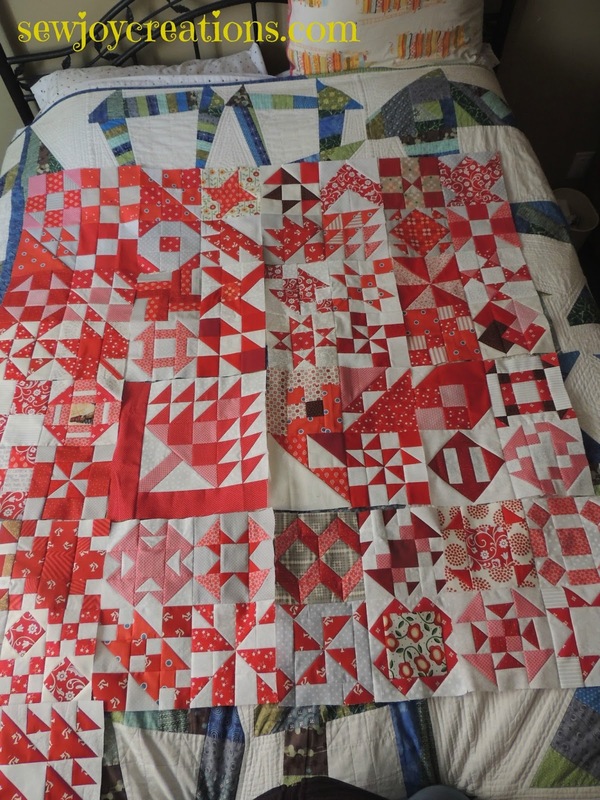 I wish I had started the Canada 150 quilt, but I didn't and probably won't do it now. 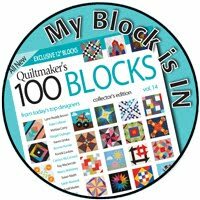 Congratulations on having a block in the magazine!! I'll be back to see which it is. Love your Canada blocks! 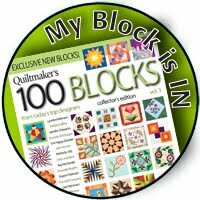 And I never would have guessed your block. Love it, too.